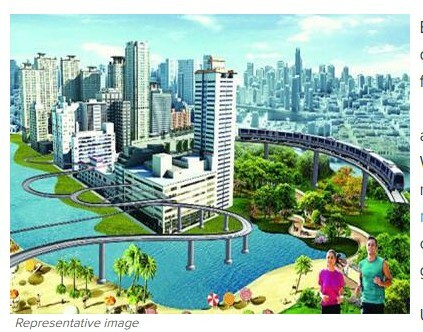 BHOPAL: Giving smart city development a strong push, MP finance minister Jayant Malaiya allocated Rs 700 crore for the ambitious project on Wednesday. Unlike last fiscal, no provision was made for metro rail project. "It awaits clearance from the Union government, " Malaiya said. A significant amount has been utilised as state government's contribution in smart city development in Indore, Bhopal and Jabalpur. Under the first phase of smart city development Bhopal, Indore and Jabalpur were included in smart cities mission. Gwalior and Ujjain were included in second phase. Sagar and Satna will be included in third phase.